Connectivity when on the move can be incredibly useful and adding a Wi-Fi hotspot to your car is much easier these days. There’s a big difference between just setting up a Wi-Fi hotspot and this already integrated into your car’s own systems. But if you do not have this functionality built in, then you can add it via your smartphone or using a dongle. Using your smartphone is a cheap and cheerful method of creating a wi-fi hotspot if you have a data connection and Wi-Fi tethering. Doing it this way means there is no need to buy a new device or set up a new contract, but this is pretty much the worst possible use for a smartphone in terms of power usage, you’ll burn through the battery far faster than you thought possible using it in this way. Plus you have to careful about your data consumption, especially if you go over your data allowance. 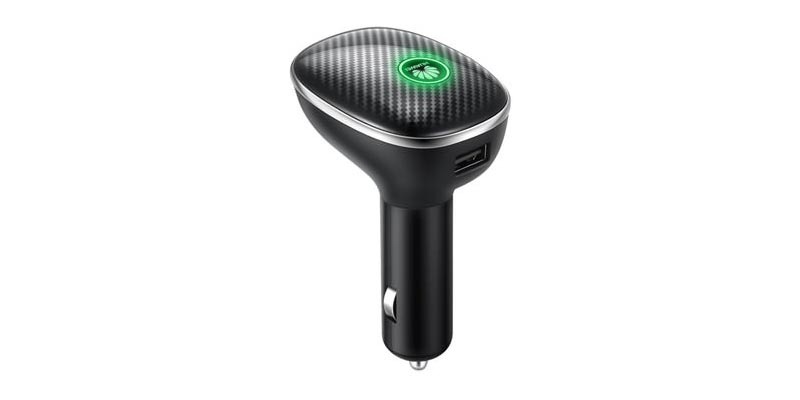 Huawei 4G In-Car wifi device – allows you can connect up to 10 devices and simply plug it into the 12V socket in your car. There is also a built-in USB port so you can charge your phone at the same time. Available on Pay & Go and Pay Monthly from O2. Osprey 2 mini 4GEE Mobile WiFi – 4GEE WiFi from EE allows you to create your own personal WiFi hotspot. The osprey device plugs into your cars USB port and allows you to enjoy WiFi like speeds on the go with access to the UK’s fastest mobile broadband and support for up to 10 devices. Can be bought loaded with data on a pay-as-you-go basis or you can get it ona contract from EE. Vodafone R206 modem – allows you to connect up to 5 devices and has a memory card slot for sharing files over your car Wi-Fi network. You can create a temporary hotspot and the device can be battery, mains or USB powered. PAYG or contract from Vodafone.